Wesley Johnson will never recover from this one. Wesley Johnson will probably have to retire after a play from the first quarter of Wednesday night’s Clippers-Rockets game. 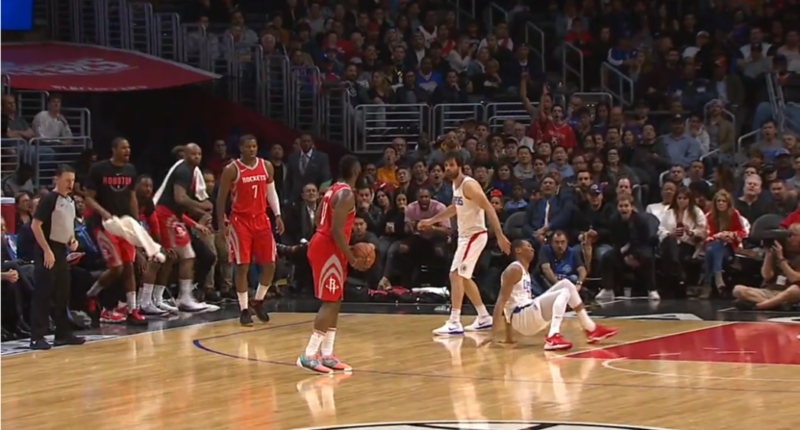 James Harden pulled out an ankle-breaking crossover which caused Johnson to hit the deck. Harden then stared Johnson down for a few seconds, stepped back, and drilled a three-pointer. Oh, and Harden scored five more points than the entire Clippers team did in the first quarter.